Has Volvo Created The Best Wagon Of All Time? Very few sports cars can keep up with this beast. 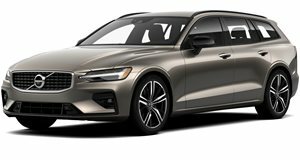 Every enthusiast loves a good wagon and Volvo is one of the greatest automakers when it comes to creating wagons that are fun to drive. Volvos aren’t for elderly people anymore and this V60 Polestar proves that. The extremely blue wagon will embarrass sports car by getting to 60 mph in 5.0 seconds and has an all-wheel drive-system that puts down all of its 345 hp in a civilized manner. It’s one of the prettiest and quickest wagons on sale today and will make any grown up enthusiasts grin like a child. Motor Trend takes the gorgeous wagon to some snowy roads to see how good the V60 Polestar really is. It shouldn’t come as a surprise to hear the wagon is extremely special.